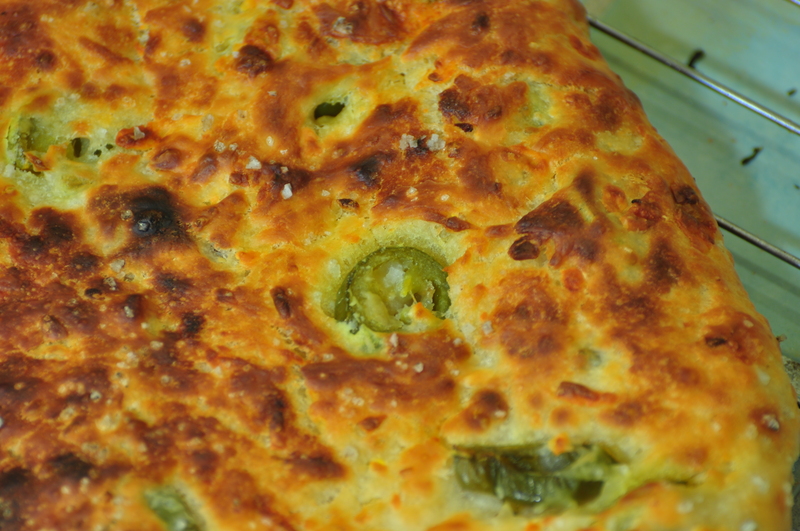 If you prefer a less spicy jalapeño bread, just add less jalapeño. 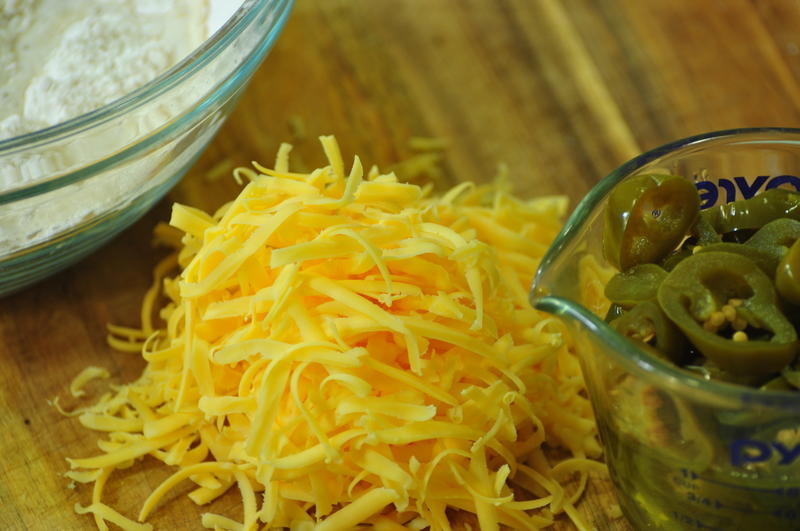 If you really really like cheese, add more cheese. The fun thing about making bread is that it is extremely versatile and will take kindly to ingredient adjustments. Just as long as you have flour, liquid and yeast, with the appropriate amount of rest time, you are good to go. 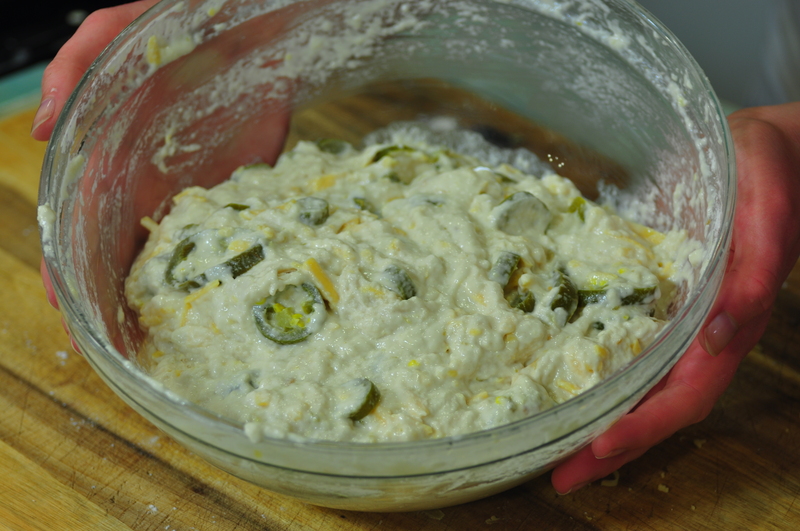 Mix together the flour and yeast, then add all other ingredients. Mix until everything is incorporated. This dough does not require kneading. The dough will be very sticky, like a thick batter. Cover with plastic wrap or a damp towel. Let rise in a warm (70-100 degree) place until double. This should take 30-45. 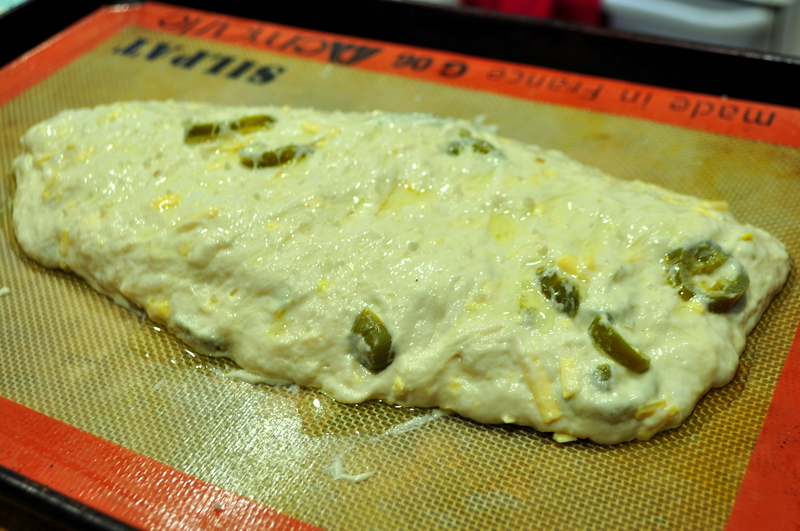 Fold the dough over on itself a few times, then allow to rest another 30-45 minutes. Pour out onto a baking sheet in one huge loaf, or separate into 2 medium-large loaves, brush with olive oil, and sprinkle 1/2-1 tbsp of coarse sea salt on top. Bake at 400 degrees for 25-30, or until the top is browned and the loaf/loaves sound hollow when knocked on. Slice to serve. Can also be served with some ranch dressing for dipping. can this recipe be used to make olive bread? sustituting the jalapenos for olives? with a little less cheese maybe? Definitely! 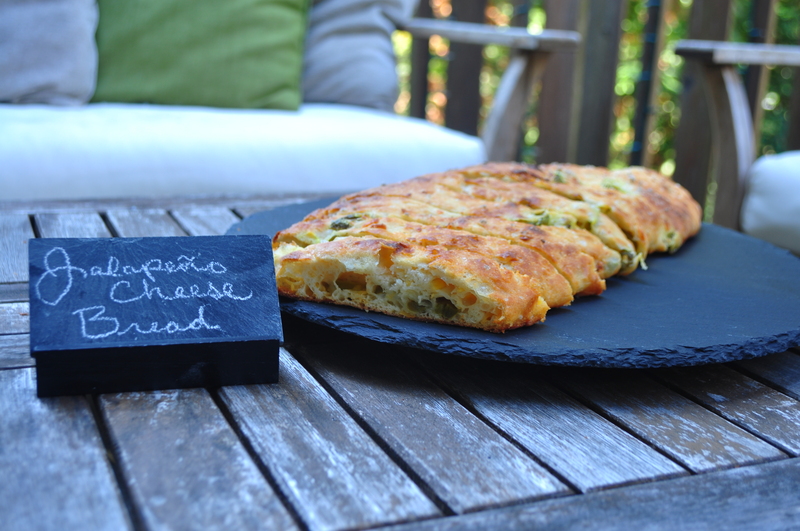 This recipe is actually adapted from an olive bread recipe. I would suggest switching out the cheddar cheese with a harder one, such as Parmesan, Pecorino, Asiago, or manchego. Those cheeses tend to be rather salty, so maybe leave out the sea salt on top.